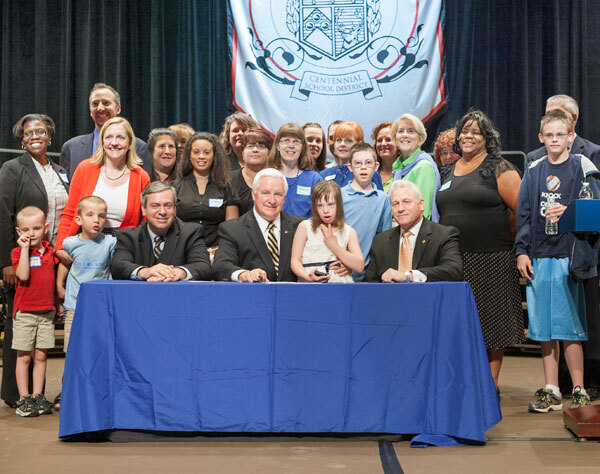 August 22, 2013 – Special Education Funding Formula Commission Hearing in Allentown. 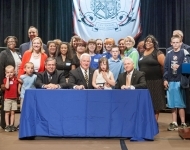 July 10, 2013 – Special Education funding formula Commission Hearing in Harrisburg. 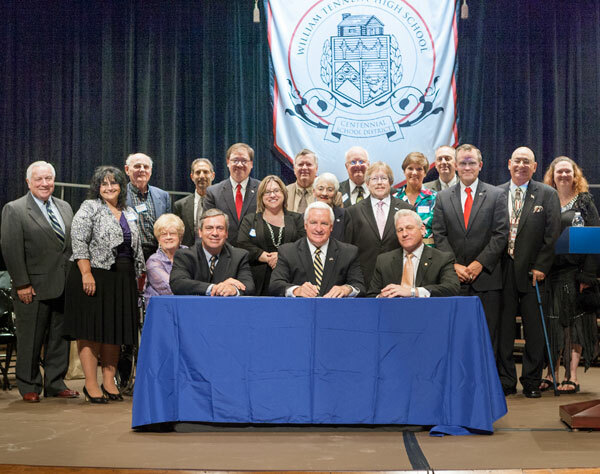 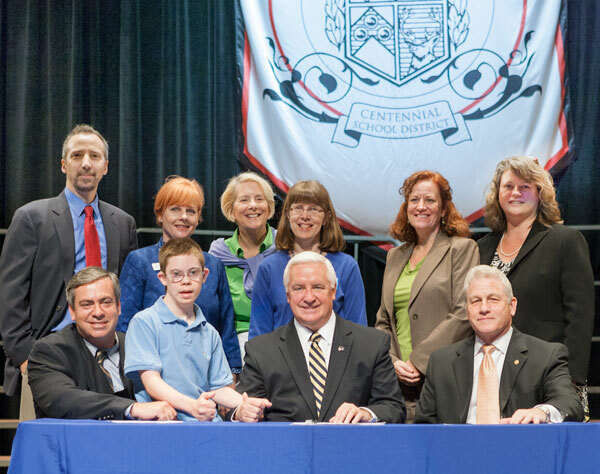 June 14, 2013 – Ceremonial signing of House Bill 2 (now Act 3), which will provide long overdue reform to Pennsylvania’s special education funding formula. The public signing took place at William Tennant High School. 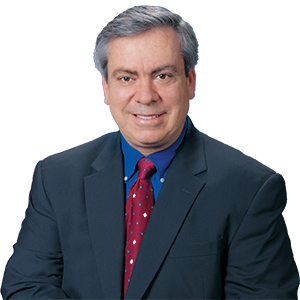 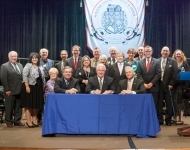 June 13, 2013 – Special Education funding formula Commission holds first hearing in Harrisburg. 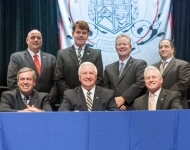 May 15, 2013 – Special Education Funding Formula Commission Organizational Meeting in Harrisburg. 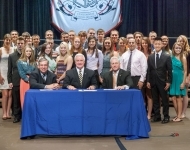 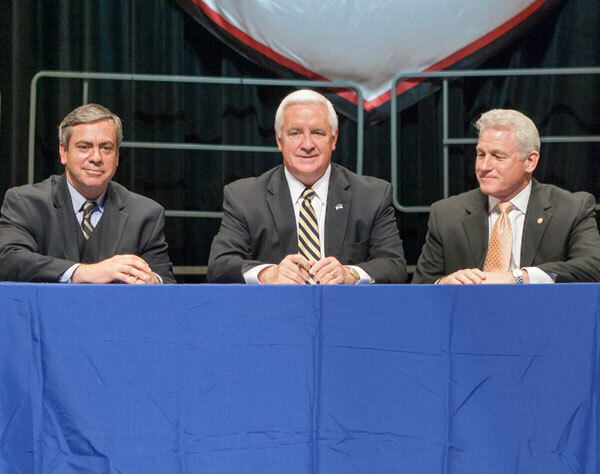 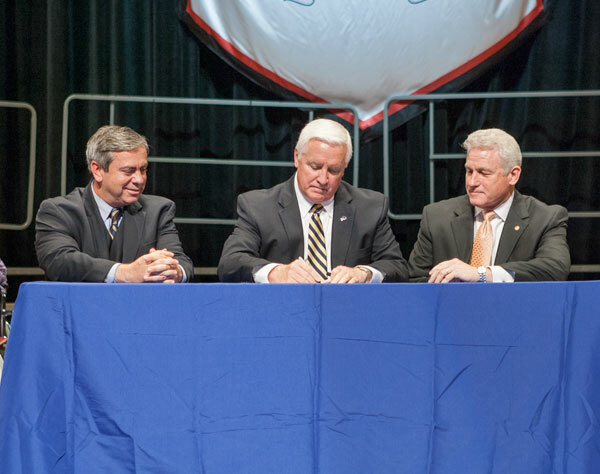 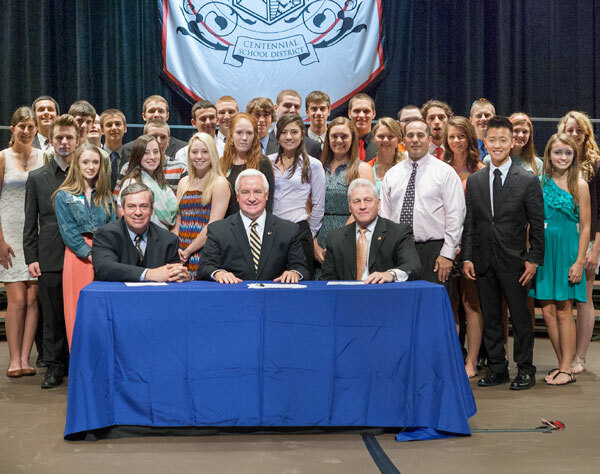 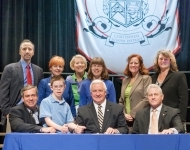 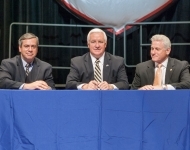 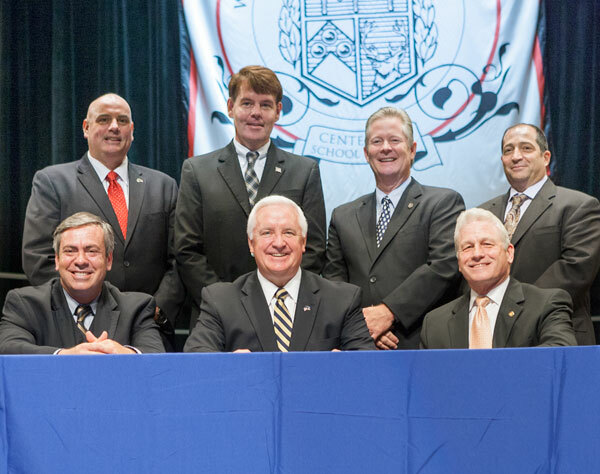 April 25, 2013 – Senator Pat Browne (left) and Representative Bernie O’Neill (right) participate during Governor Tom Corbett’s (center) official signing of House Bill 2 (Act 3 of 2013), legislation that will provide long overdue reform to Pennsylvania’s special education funding formula.